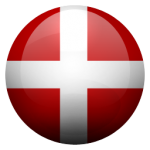 Exciting opportunity for a Danish speakers to join an international team of casino professionals. Do you want to step into the iGaming industry and start your career with one of the fastest growing companies based on the Maltese island? Do you have some Customer Service related experience? Our clients Customer Service Team is the pulsating heart of our customer experience. Have you got the passion, knowledge and skills necessary to provide absolute world class customer service? Could you also do it in impeccable, flawless writing and speech? If so – match made in heaven! We are looking for team players who really understand customers. We want you to feel with them, win with them and sometimes help them, if something goes wrong. It is important to us that you care about the people you come in touch with, and that you have interest in building relationships. Both to your team and to your customers.